In between massive releases from EA, Bioware, EPIC, and Ubisoft there are some gems to be found, diamonds in the rough. 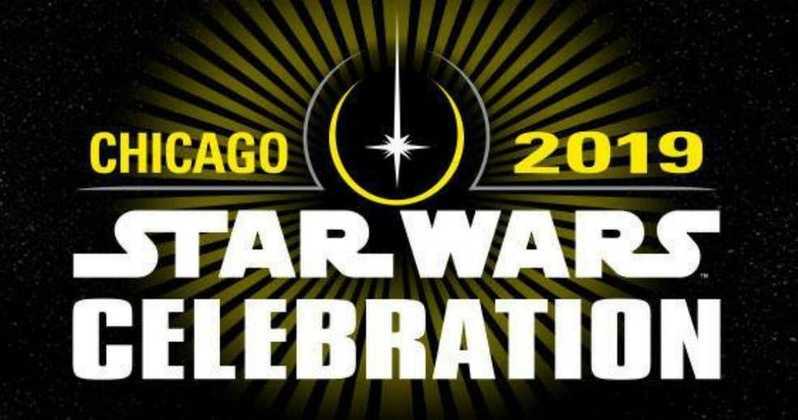 Its time to take a moment away from dismembering / shooting / force kicking aliens (from the ground, sky, and points in between) and take a look at something different. 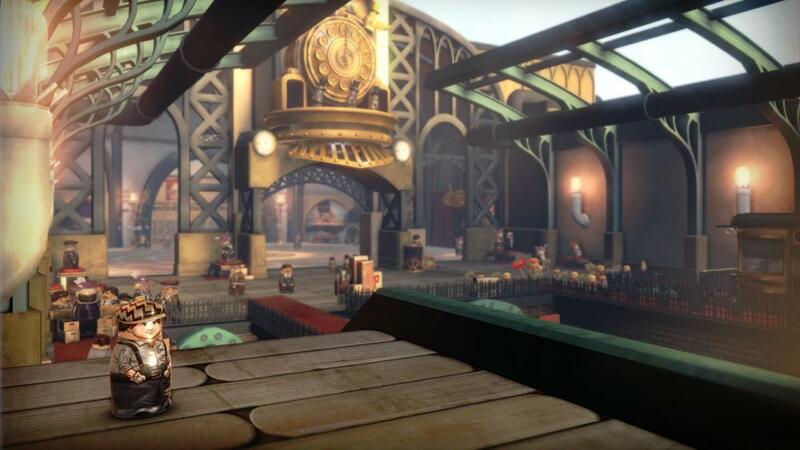 And with that DoubleFine presents: Stacking, an “arcade-length” game for PS3 and XBLA. 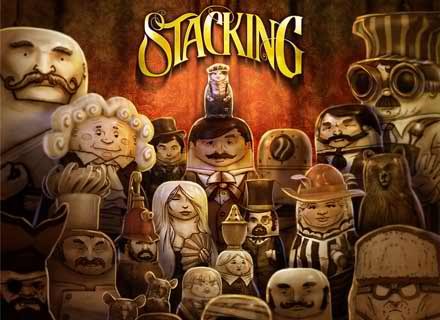 Stacking is a puzzle game, but as the name might imply it is not a Tetris clone. The game gets its name from the major mechanic, your avatar is a Russian stacking / nesting doll. 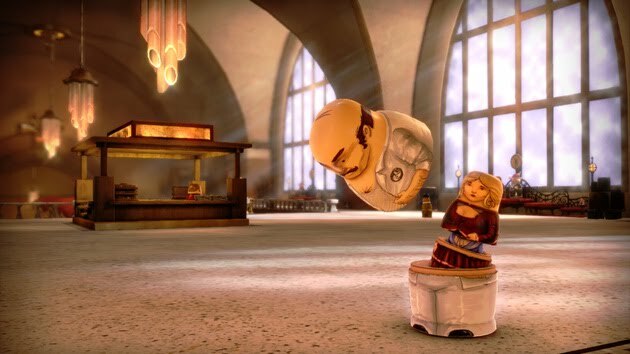 In this unique puzzle-adventure you must control larger dolls by nesting into them — each doll has a different ability, from the useful (seeking out special dolls) to the entirely absurd (belching, farting, tossing cookies). There are multiple nesting levels, so to get to a larger doll, you have to stack into smaller ones first. Clever. In the first level, for example, you are tasked with clearing people out of a room. A mechanic doll could get you into the room via a access tunnel, while a well placed flatulence would do the trick without even entering the room. There are multiple solutions to each puzzle, side quests for some of the more esoteric dolls, and sets to collect. A hint system encourages you to discover different solutions and explore the beautiful environments of the game. Need an ability? Time to get stacking. The game is presented in the style of a silent movie. Cut scenes are acted out on a “stage” with piano music inter spliced with text screens. If your mental picture is of a distardly man with a thin-curly mustache placing a bound woman on the railroad tracks, then you’ve got the idea… except with Russian nesting dolls. Trust me, it works very well. And it should. 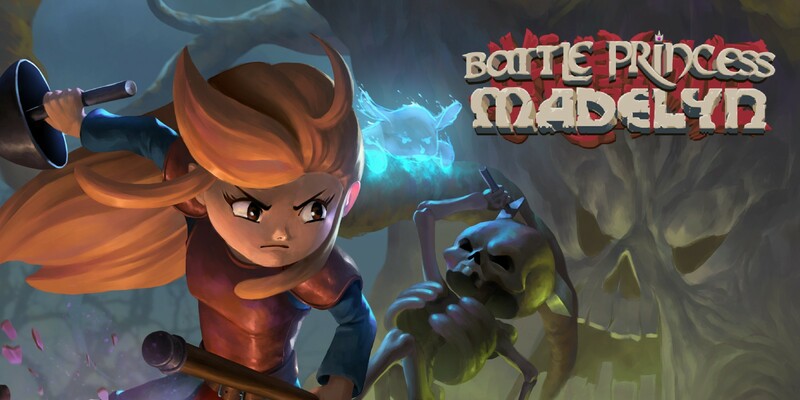 The game was created by a team at Double Fine, responsible for some outside the box games such as Psychonauts and Brutal Legend. The team for Stacking was led by Brutal Legends Art Director, naturally Stacking is just as fun to look at as it is to play. 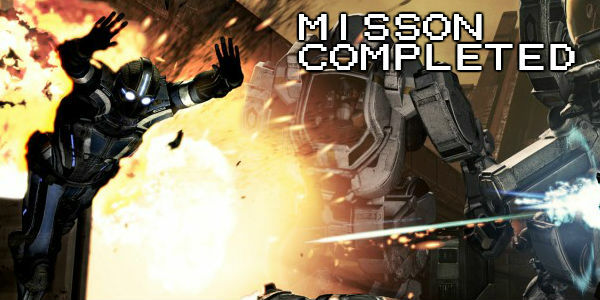 – Not too short, not too long: It’s an Arcade title, so if you stuck to the main storyline you’d be finished in 5-10 hours, but you could easily top that by completing side quests and enjoying the hidden depth of the game. – Beautiful: Stacking dolls is a clever game mechanic, and the environments match the flavor of an old timey era. If you enjoy lifting large triangular weights while wearing singlets, then you shouldn’t miss this one. – Come back later: I found at least one puzzle that required you to progress the story in order to complete at a later time. Without any direction or hinting, this is an annoying aspect of adventure games, but is a very minor occurrence in this game. – Effect or Affect: There were times that I thought the game stuttered, but I wasn’t sure if it was a hardware limitation or a stylistic intention, inspired by the film cuts of silent movies. I’ll give the benefit of the doubt on this one. Unless you prefer total FPS homogeneity in your video game selection, you should ideas that are on the fringe of gaming. Double Fine approaches gameplay in ways that are unique and meaningful to the world in which they take place. If you’ve ever told someone to Support Local Music, you should know what I’m talking about. And before you get all, “Brutal Legend was an EA published title” remember that that game almost didn’t get released. No one played Psychonauts either, and it’s one of the best platforming games available. Stacking is Free for PlayStation Plus Members, 1200 MS on Xbox. At the very least, give the demo a shot will ya?! Happy Gaming. Defy reality. Own the planet. Download the demo. Hack the planet… ok, that last one was me, but you get the idea. 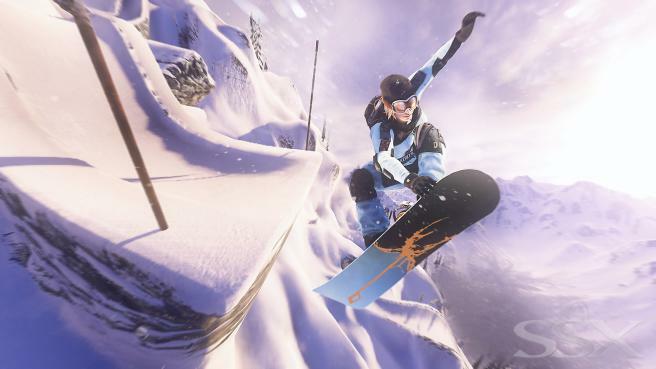 Let’s return to the frosty slopes. When we set out to create our very first official Nerd Appropriate community game night, we didn’t really know what to expect. In all honesty we were just looking for an excuse to meet some new players, hang out with friends, and shoot some virtual bad guys. We’re elated to say that our community game night went better than we could have ever anticipated. With dozens of players from all over the world signing up to have some fun, we were able to run five eight person squads for over four hours with new players filtering in and out! Confused by all the acronyms? 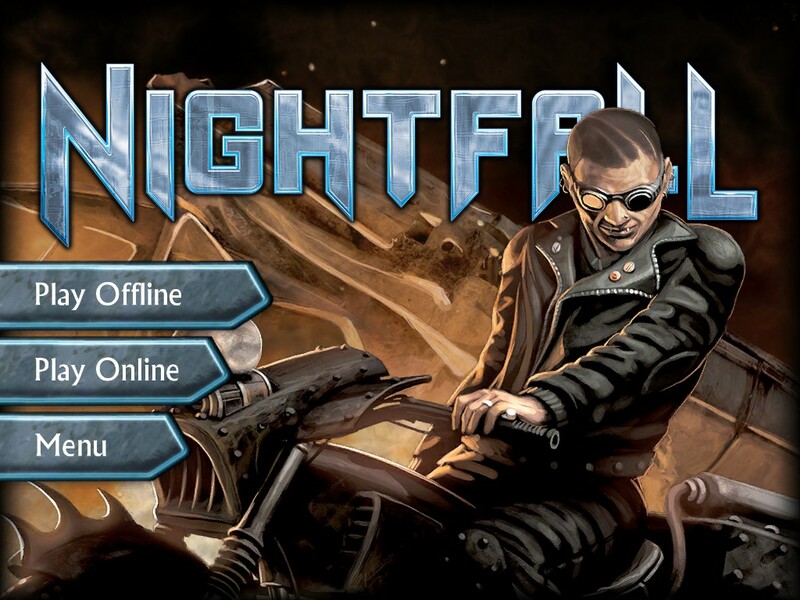 All you need to know is that the physical card game, Nightfall, is on iOS. But how does all the information fit onto a handheld? Find out. Great review…my wifes been playing this for the last week or so. She really likes it. Personally I’ve only watched a bit but I love the style and overall idea of the game. I think there’s a case to be made for getting out of the AAA game release schedule and back into playing what is fun, digging into the deep catalog, etc. While doing this review I found out that Double Fine has another arcade release, Costume Quest, where kids save Halloween by transforming into actual versions of their Halloween costumes. Again, the concept is clever, and the art is pretty rad. Costume Quest was pretty fun, the battles got a bit repetitive. I played through the whole game in an afternoon, so maybe 5 – 6 of play. I think there was a DLC add-on for it too. Some of the costumes are downright hilarious. Good to know. It’s a bit pricey for 5-6 hours, but it looks fun and I want to support Double Fine. I’ll check that out soon.